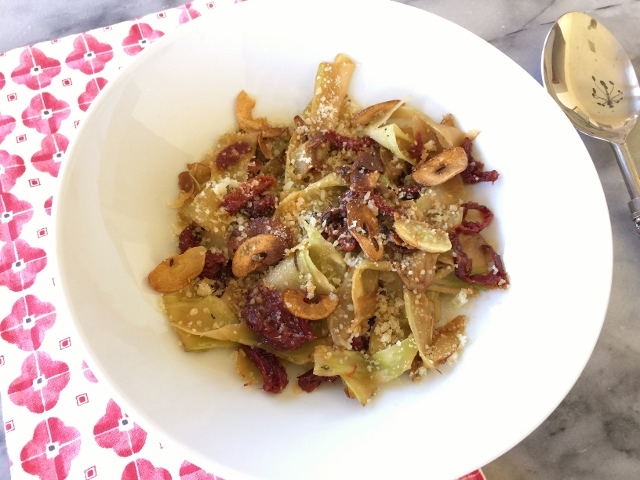 Broccoli Pappardelle with Sun Dried Tomatoes & Toasted Garlic - Recipe! - Live. Love. Laugh. Food. 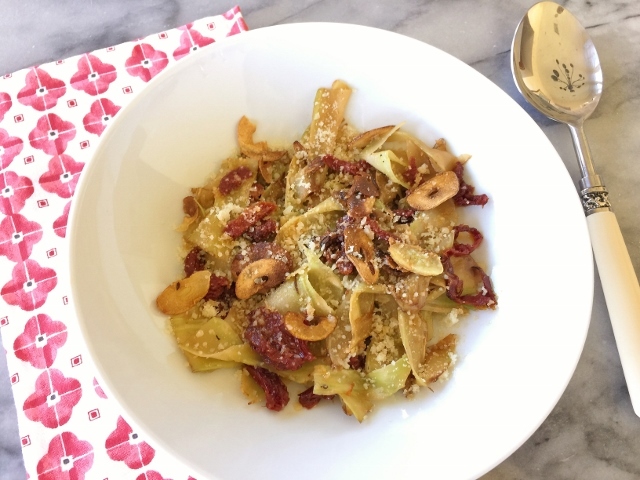 Broccoli Pappardelle with Sun Dried Tomatoes & Toasted Garlic – Recipe! Everyone loves a good bowl of pasta, but sometimes it’s just too heavy especially on days like today when it is 94 degrees, even at the beach. Spiralizing has been super popular over the past few years and I am a fan because it is a great way to eat more vegetables without having to power down the same old salad. 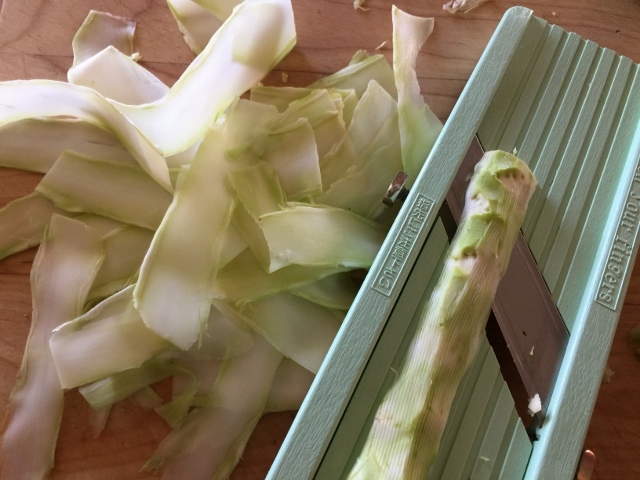 Broccoli stems are something most of us just toss in the trash or compost after cutting off the florets, but have you ever prepared them like Pappardelle? 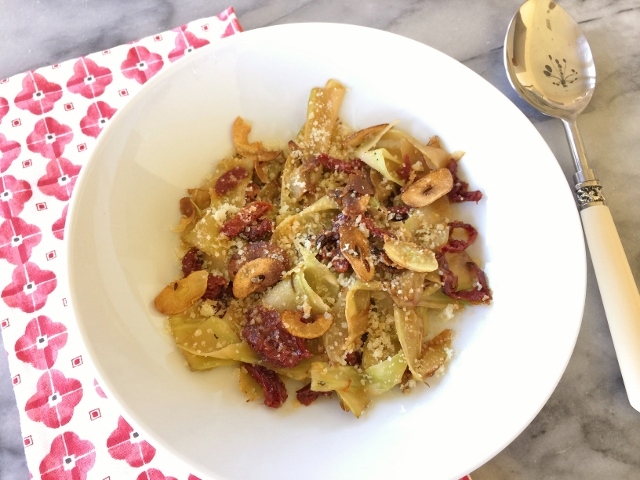 Broccoli Pappardelle with Sun Dried Tomatoes & Toasted Garlic is my idea of a delicious pasta dish, but with no pasta. 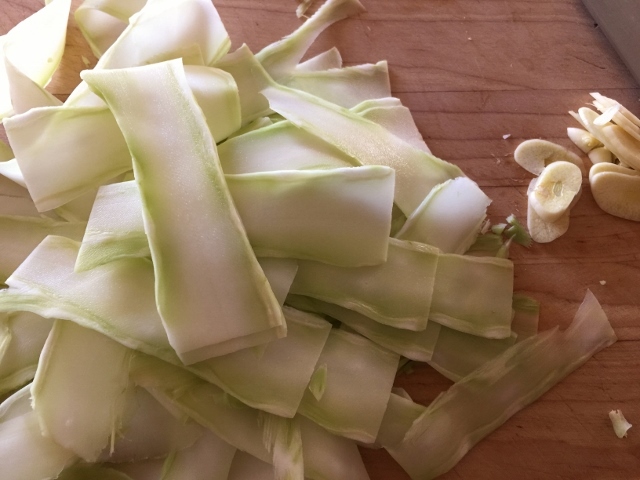 You can use a mandoline or sharp knife (no spiralizer needed) to cut the broccoli stems vertically into thin ribbons. 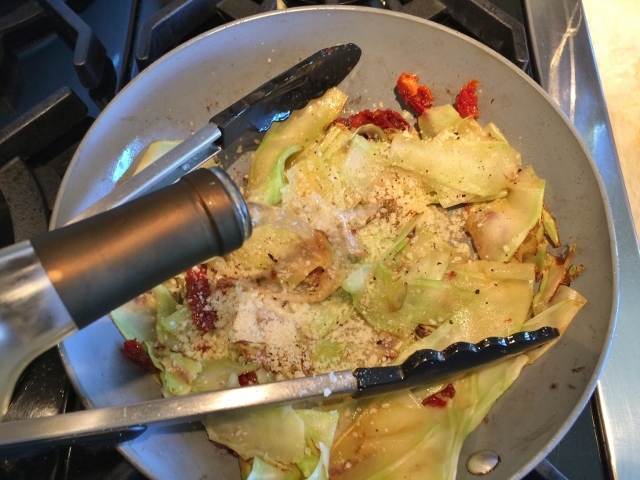 The rest is fairly simple – just toast a little garlic in a pan, saute the broccoli pappardelle and toss. This dish is so tasty you won’t believe there are no real noodles. You can always double or triple the batch to feed a larger family, and you can eat the leftovers cold right out of refrigerator. You will never toss out those broccoli stems again. 1. 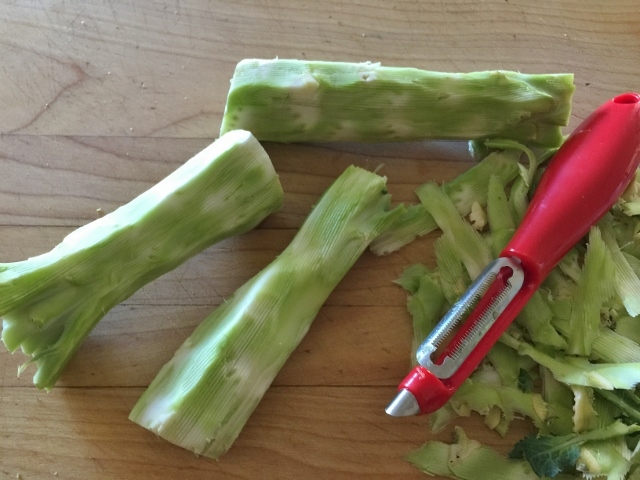 Wash and peel the broccoli stems. 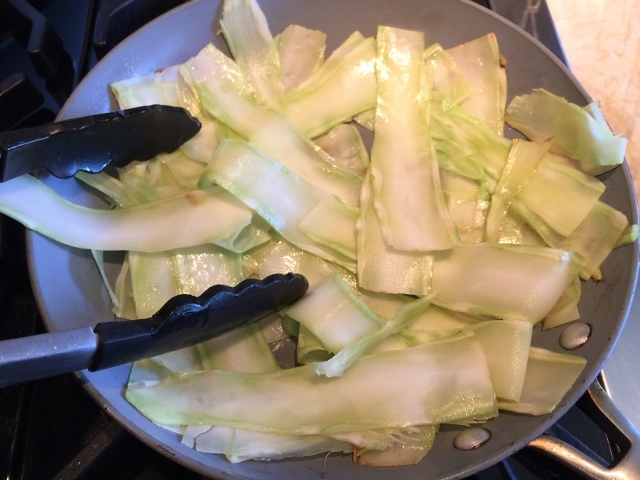 Using a mandoline or sharp knife, slice the stems vertically into long ribbons. 2. Slice the garlic. In a large saute pan, add 2 teaspoons of olive oil and place over medium heat. 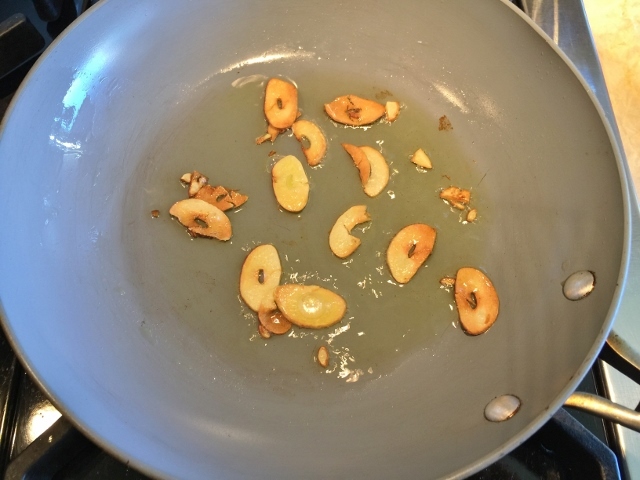 Add the sliced garlic and toast until golden brown, about 1 minute. Remove garlic and set aside. 3. Add the ribbons of broccoli to the garlic infused oil and cook for 6 minutes, tossing occasionally. 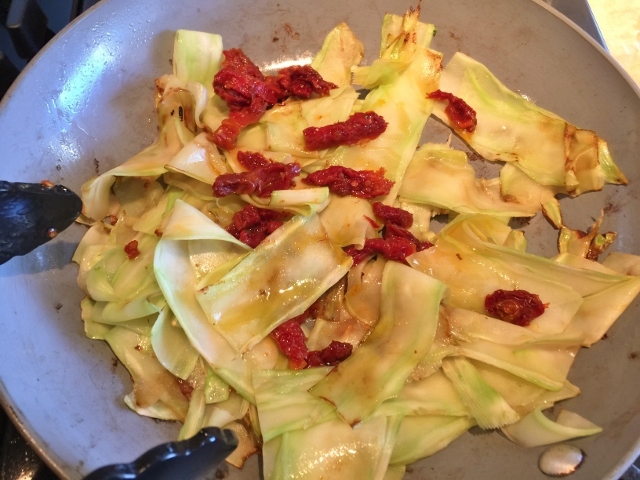 Sprinkle with 1/2 teaspoon of salt, 1/4 teaspoon of pepper and add the sun dried tomatoes, toss again. 4. Add half the parmesan cheese and deglaze the pan with wine. Continue to cook for 2 minutes, while tossing the ribbons occasionally. 5. Pour the Broccoli Pappardelle into a serving bowl and top with remaining parmesan cheese and toasted garlic. Serve and enjoy! 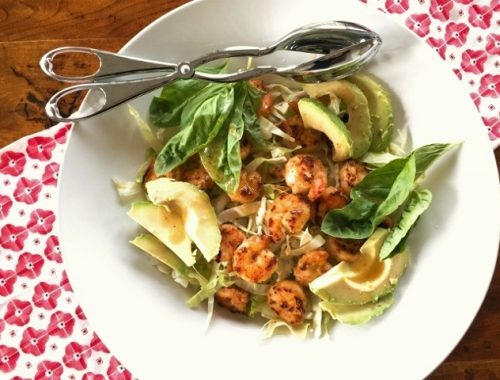 Crispy Shrimp & Avocado Salad – Recipe! 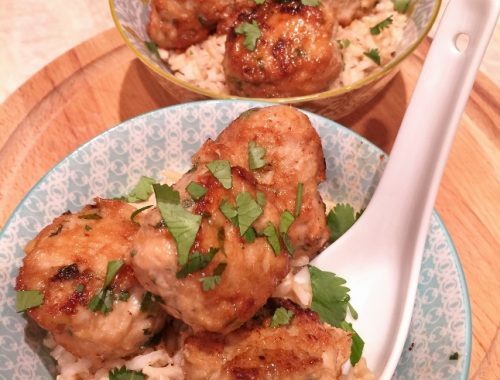 Thai Chicken Meatballs – Recipe! 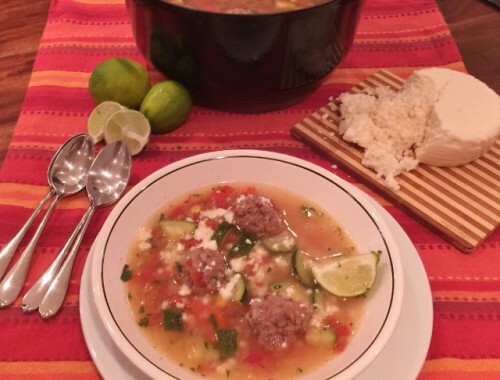 Heart Warming Favorites – Recipes!